Considering the growing popularity of digital marketing every business owner is getting its website developed and is aggressively making use of digital marketing to promote their brands. Franchise owners are also not left behind and they are also using this media to expand the reach of their brands. The latest digital marketing techniques may include placing banners on various sites, giving ads, publishing content and E newsletters. E-newsletters are emerging as a popular and appealing online marketing tool. Franchisors run their franchise businesses through their franchisees. Both have wide data base of confirmed, prospective and old customers or clients. Further, it addresses, and educates the customers about the latest developments of the company in terms of new products and offers, growth, success, and benefits. E-newsletters are the best source that not just inform and educate the consumers, but also give a personal touch to it. Increasing number of franchisors is making e-newsletter a part of their marketing tool to connect with their clients. 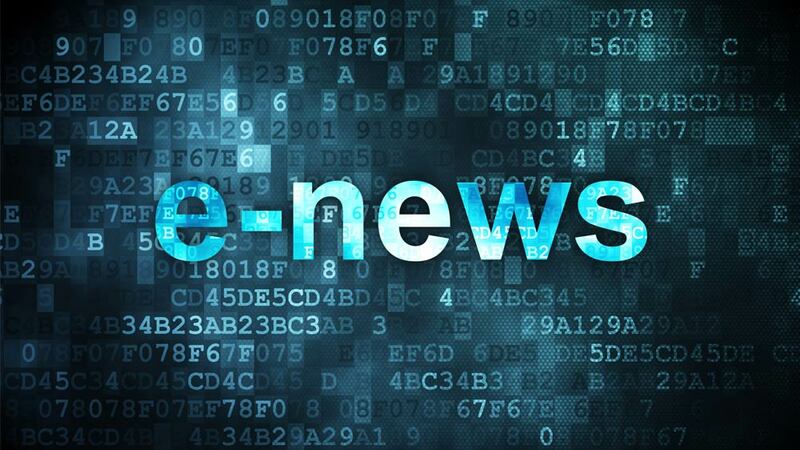 Electronic newsletters sent via technology enhanced mediums such as e-mails or group mails is called E-newsletter. It is the latest emerging and an excellent way to market and to keep the clients updated on brand’s development and growth. Newsletters sent through electronic medium have the advantage of any time anywhere accessibility which is easily managed. It is a useful means for the franchisors to maintain the network as well as promote its products and services to the customers. Also with word of mouth advertising, it helps you to get new clients. Loyal customers who keep getting your newsletters would surely talk about your company to different people. However, an e-newsletter has to be made and designed correctly to fulfill its objective of creating and winning more clients and customers. Find below some essential guidelines to be followed before designing an e-newsletter. E-newsletter no doubt is a useful device but if it is not properly designed and made it can also lead to the loss of customers and fail in its objectives to getting new clients. Therefore, it is imperative to make a flawless newsletter to impress loyal as well as potential customers. Below given are few guidelines for devising an e-newsletter. Structure the schedule for E newsletter: Receiving too many mails from a particular company can also irritate clients. As e-newsletters can be sent regularly via mail as it is a low cost affair, but it should follow a set pattern and must not be sent everyday to clients. Moreover, in franchising, it is important that the newsletter should be developed according to the needs of the business. Follow the short and crisp rule: Follow KISS (Keep it short and simple) strategy rules for every business writings. Thus, e-newsletters of a particular company should be short and simple. Potential clients will not like reading long ambiguous mails. They might delete it without giving another glance, if it is difficult to understand and too lengthy. Keep ideas simple and to the point with simple language. Give adequate paragraphs or bullets: Divide the e-newsletter into small paragraphs using sub-heads. While reading your news letter clients prefer to give it a quick glance and read the sub-heads only. If they find anything important for their franchise venture, then will they give a second look to it. Give a standard title: The heading of each newsletter should be consistent to the earlier ones. It should contain the main idea of the newsletter and need not to be improvised every time. Give sufficient open space: The e-newsletter should not give an impression of cluttered thoughts to the clients. It should be carefully designed so as to leave a lot of open space in-between paragraphs and ideas. Privacy option to clients: It should be kept in mind that clients as well as potential clients do not like to get junk mails. Therefore maintain the privacy of their e-mail id’s and display the privacy option in your newsletter also. Clients should be ensured that their e-mail id’s would not be visible to everyone. It would also make them feel special that they are a chosen few to get the company mails. Apt subject: Subject of your newsletter should be carefully written. These days all websites have spam filters. Therefore there is a risk that your company newsletter may also go into spam mails of clients. To avoid been filtered as spam, it is a must to remember not to use any punctuation in the subject line such as question or exclamation marks. Secondly never use the word ‘free’ in the subject as it will make it spam. The subject of newsletter should be attractive to make clients open the mail and read it. Give option for unsubscribing: There can be a few clients who do not like to get e-newsletters. Therefore always keep the option of unsubscribing in all your newsletters. Clients need not be badgered with unwanted mails. E-newsletter is the image or first face of your company or franchise. Think twice before designing the e – newsletter of your brand. Moreover as it sent after regular intervals so keep it fresh and lively also.